Well, happy Monday folks ... Not, right?! Back to work for most of us, I guess it pays the bills right?! My old mate Andrew McNiece very kindly gave my interview with David Paich a plug, at www.melodicrock.com which subsequently led to a massive surge in site views, thank you mate! THEN ..., Classic Rock magazine in the UK jumped on it to take what they could, sadly to dwell on poor Mike Pocaro condition during part of David's and my chat. 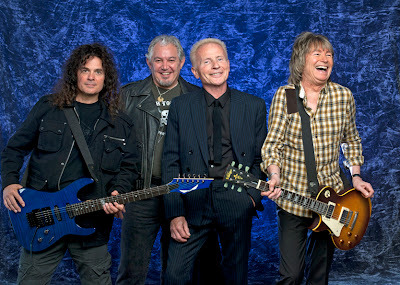 Thin Lizzy are out to slam Mitt Romney for use of their song in Presidential campaign. Clearly, neither the band or Phil's family believe this is something he would've wanted and since the guy can no longer speak for himself, then really this should be respected. Of course it's not always 'just' the Republican party that step out of line doing this, there have been instances before from other bands, hitting up the Democrats for doing the same thing to them. Los Angeles, CA (September 17, 2012) - GEOFF TATE, the acclaimed voice of Queensryche, will release his second solo album, KINGS & THIEVES, on November 6, 2012 in North America. 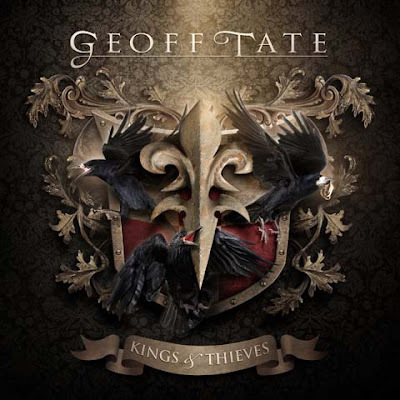 KINGS & THIEVES will be TATE's first solo album in more than a decade and his debut release for InsideOut Music. 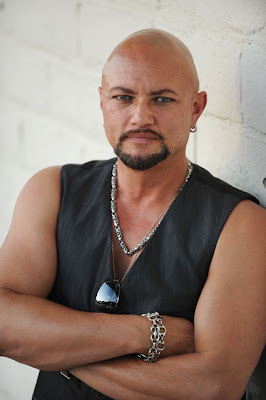 As one of the most well-known and respected vocalists in the history of hard rock and heavy metal, GEOFF TATE has sold over 20 million records and received four Grammy nominations. GEOFF TATE will head out this October for a full tour in support of KINGS & THIEVES, including a 7-date Canadian run with metal legend ALICE COOPER. More dates are constantly being added and a list of currently confirmed dates can be seen below. Black Country Communion, the Anglo-American rock band comprising Glenn Hughes (vocals, bass), Joe Bonamassa (guitar, vocals), Jason Bonham (drums) and Derek Sherinian (keyboards), have announced their only concert of 2013 at the Wolverhampton Civic Hall on Saturday 5th January 2013. The concert is significant, as it is based in the heart of the Black Country, where both Glenn Hughes and Jason Bonham grew up as kids. To celebrate the news of this rare, one-off concert, the UK’s leading classic rock radio station, Planet Rock, will launch an exclusive 48-hour ticket pre-sale fromWednesday 19th September. Tickets will then go on sale to the general public at 9am on Friday 21st September from the 24 Hour ticket hotline 0844 478 0898, www.thegigcartel.com. 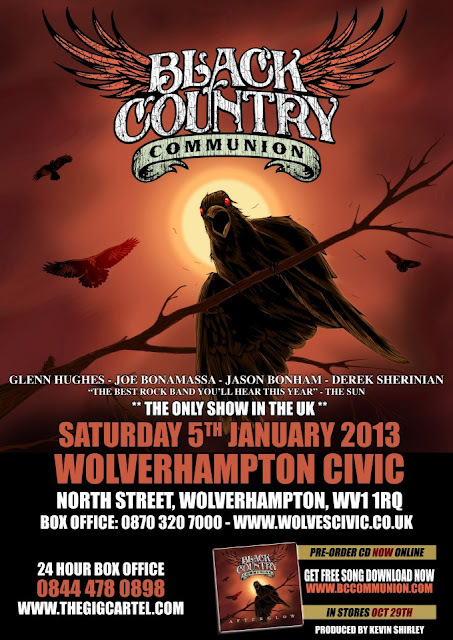 This unique concert marks Black Country Communion’s only UK appearance in 2013. Given BCC’s geographical and spiritual ties to the area, when discussions arose about where in the world the band would perform this one-off show, there was only ever going to be one outcome. Black Country Communion is very excited to come home for this ultra rare live performance. Hughes expressed his disappointment in the band's lack of touring, to a couple of big US broadcasting organisations, due to Bonamassa's continued solo success and endless touring of his own. I for one hope they can make some compromise and continue. Joe Bonamassa: Beacon Theatre – Live From New York is released as a 2 CD and double vinyl album for the very first time. The double live album, released by Provogue Records in the UK on Monday September 24th, features 20 stunning tracks that spans his incredible career. The festivities kick off with 72nd St. Subway Blues, followed by Slow Train, from 2011's solo album Dust Bowl, plus fan favourites Midnight Blues, Dust Bowl, Bird On A Wire, Blue & Evil, Mountain Time, and many more. Beth Hart performs with Bonamassa on I'll Take Care of You and Sinner's Prayer. John Hiatt joins Bonamassa on Down Around My Place and I Know A Place, while Paul Rodgers (Free, Bad Company), is featured alongside Bonamassa on Fire And Water and Walk In My Shadows. 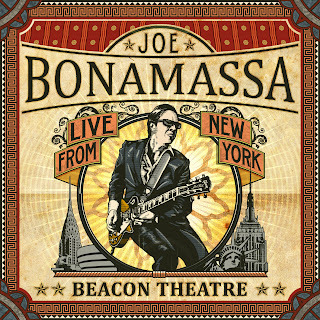 The live album precedes Bonamassa's London March 2013 concerts at The Borderline (March 26), o2 Shepherd’s Bush Empire (March 27), Hammersmith Apollo (March 28), and Royal Albert Hall (March 30). 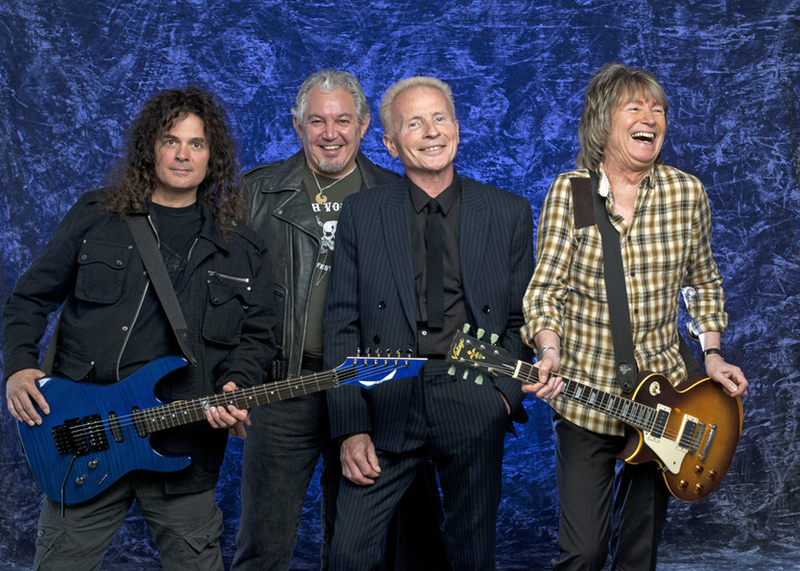 British rockers UFO will head to the US for live dates in support of their 'Seven Deadly' album, released earlier this year to much acclaim. The US live dates kick off in Chicago, IL on November 15th and run through until 1st December, where they'll wrap things up in Corona, CA. In February of next year, they'll then be playing a fairly low key UK ten date tour, starting in Bath on the 21st, finishing up in London at The Forum on the 5th March. Pleased to see them playing in my old home town of Portsmouth on a Saturday night ... Wonder if we could make that ...? I wish! They have not played here in Detroit since 2004, so a bit of a downer for this old fan. I'm sure the live shows will be nothing less than excellent! 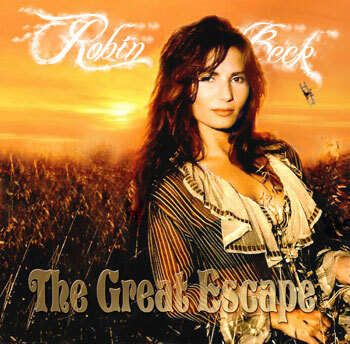 The extremely talented Robin Beck has announced details at her site of more European live dates, that will follow her performance at the UK's Firefest festival annual event in October. We are excited to announce that Robin will be playing live dates in Europe during October / November 2012. The tour is entitled 'Here Comes Trouble' and she will be joined by James Christian of House of Lords who will be playing Bass Guitar and providing vocals in her band. Also in Robin's band will be Tommy Denander (Guitar), Jorge Salan (Guitar) and House of Lords drummer BJ Zampa. For the Firefest show only Eric Ragno will be providing his talent on keyboards. AC/DC ANNOUNCE "LIVE AT RIVER PLATE"
AC/DC's first live album in 20 years, "AC/DC Live At River Plate," is coming Tuesday November 20th. 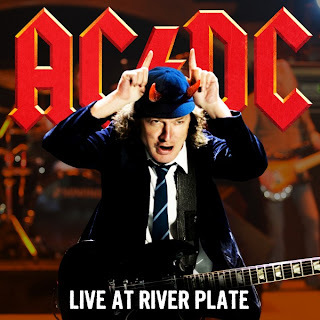 "Live At River Plate" was recorded in Buenos Aires in December 2009, when nearly 200,000 fans (over 3 sold-out nights) thunderously welcomed AC/DC back after a 13-year absence from Argentina. The recording captures the legendary grandeur, excitement and energy that AC/DC’s live performances are renowned for. "AC/DC Live At River Plate" is the ultimate live recording, chronicling one of the largest rock shows in history. This ultimate live recording chronicles one of the largest shows from their massively successful Black Ice World Tour (where they performed to over 5 million fans in 108 cities in over 28 countries). Pre-order the 2 CD set or collector's edition 3-disc red vinyl on www.ACDC.com.